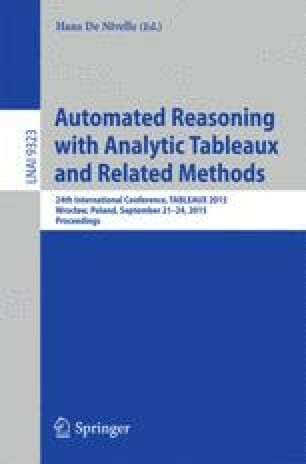 We consider how the method of analytic tableau coupled with interpolant extraction can be adapted to enumerate possible query plans for a given user query in the context of a first order theory that defines a relational database schema. In standard analytic tableau calculi, the sub-formula property of proofs limits the variety of interpolants and consequently of plans that can be generated for the given query. To overcome this limitation, we present a two-phase adaptation of a tableau calculus that ensures all plans logically equivalent to the query with respect to the schema, that correctly implement the user query, are indeed found. We also show how this separation allows us to avoid backtracking when reasoning about consequences of the schema.